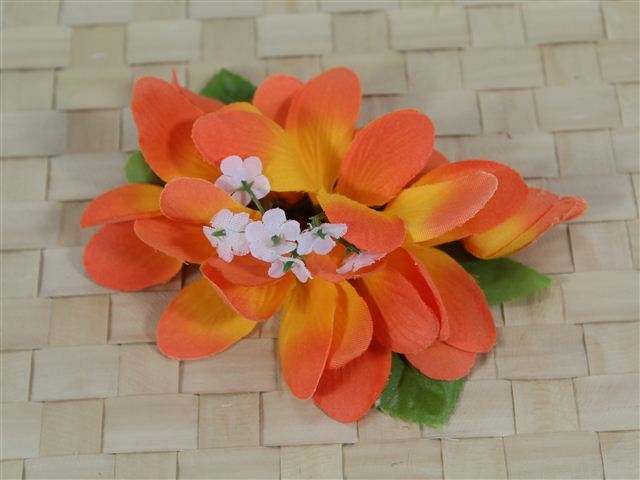 Purchased Item: Orange Plumeria Clip 4"
I have not had an orange one before so was glad to see a color I did not have. I was hoping for holiday themed clips (orange and black for Halloween, Red and Green for Christmas, pastel rainbow for Easter, Red, White and Blue for the 4th of July - that kind of thing). This one looks good I. My hair and I am excited to begetting another order to show off.